The spiritual journey is individual, highly personal. It can’t be organized or regulated. It isn’t true that everyone should follow one path. Listen to your own truth. 20 years from now you will be more disappointed by the things that you didn’t do than by the one you did do. So throw off the bowlines. Sail away from the safe harbor. Catch the trade winds in your sails. Explore. Dream. Discover. I don’t want o find myself sighing and frightened or full of argument. You were born a great magician, and with the gift of magic you create your personal story. You can’t imagine what is possible from a place of a big wound because that vision will be wounded too. The important thing is this: To be ready at any moment to sacrifice what you are for what you could become. You cannot transcend what you do not know. To go beyond yourself, you must know yourself. Spirit comforts the disturbed and disturbs the comfortable. To hear wisdom you need only ask your heart what it wants most. Enlightenment consists not of seeing luminous lights and visions but in making the darkness visible. There is a wick within you that is waiting to become the light of your soul. When this inner flame burns brightly you will feel a magnificent awakening in your life. Every journey has a secret destination of which the traveler is unaware. Man’s main task in life is to give birth to himself, to become what he potentially is. I believe that the point of being alive is to develop our souls. We cannot know the truth by what seems to be true from a single point of view. You’re either moving or you’re not. Sufficiency and lack, like progress and inertia, are all in the eye of the beholder. Are you stuck or taking stock? Are you stuck or are you where you should be?The only one who can answer is you. You are the Alchemist. Energy goes where intent flows. We are forever forming future pasts. So living in the past means forming no new different ones. Which is a bit like being dead. After a long hiatus from newsletter publishing, I am happy to release this January 2012 edition with a brand new facelift. This year, 2012, promises to be an auspicious year. Not only is it a time of transformation on the Maya calendar, ending one cycle of time and beginning another, but it is also the year that I personally complete and begin one revolution of the zodiac. I was born in the Year of the Dragon and this year we return to the Year of the Dragon (in February). So I am looking forward to all the gifts and gems that this year will provide and I wish that you, too, receive all the gifts and gems you have been diligently manifesting in your heart. 2012 is also a Leap year, which means that if you are a salaried employee working for someone else, they are getting a free day of labor from you. LOL But let's focus on the fun part of Leap Year. Did you know that a bissextile is a day which is added every 4th year to the month of February, in order to make the year agree with the course of the sun? It is also known as Leap Day. Did you know that a person born on February 29 is called a leapling or a leaper? In non-leap years they have to celebrate their birthdays on February 28 or March 1. People who are sensitive to divulging their "real age" may desire to be a leapling because they can claim to be only a quarter of their actual age by only counting their leap year birthdays. Did you also know that it is a tradition that a woman may propose marriage in leap years? And in Greece, it is believed that getting married in the Leap Year is bad luck for the couple. The Medicine Wheel originated with the North American indigenous tribes who called it also a Medicine Hoop. Ancient indigenous medicine wheels are circles of stone found in nature. They are found predominantly in the northwest US and western Canada. The original purpose of the Medicine Wheel is obscure but several theories abound. They were used for healing, spiritual rituals, prayer, meditation, as visual reminders of higher principles, and are physical connection points to the Spirit World. 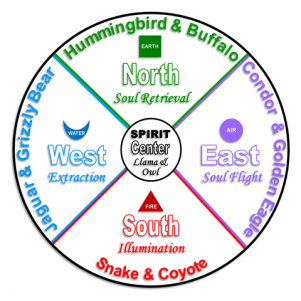 Today, the Medicine Wheel can be used to provide a foundation for many different cosmologies. Indeed, any concept that can be divided into four parts can easily be applied to this circular model. The most common is the use of the four directions. The Medicine Wheel is a powerful ceremonial tool and the basis for teaching and learning. It supports the concept that all things are interrelated. The Medicine Wheel is a synthesis of two concepts: medicine and wheel. Medicine is not just a pill that can be taken to treat symptoms, but it refers to anything that promotes goodness or healing. Common medicine can include plants, healing techniques, teachings, and spirituality. Therefore, the Medicine Wheel is sometimes referred to as the Wellness Wheel. The round aspect of the wheel makes it a natural symbol of the circle of life. The circle of life represents the broader concepts of circular living, throwing away the idea that time is linear. They say history repeats itself. That is because like all things, history rotates in a circular pattern. Life mirrors the cycling of the seasons, the daily sun rising, and the phases of the moon. Circular living is the continuous cycle of life: birth, death, and rebirth. The first thing a shaman-in-training learns is to heal thyself. This involves getting to know oneself and then transforming the parts that no longer serve. In order to facilitate this transformation, a journey around the Medicine Wheel is required. The shaman-in-training spends a specific amount of time in each of the four directions which have unique teachings. Once the shaman-in-training has completed the first revolution on the Medicine Wheel, then what? S/he starts the revolution again but at a deeper level. The transformation really becomes a spiral, ever going deeper, peeling away the layers of the unknown. The lessons become more complex but once the first revolution is completed, the tools are in place to process the lessons with ease and grace. The traveler on the Medicine Wheel begins in the East in North American tradition and in the South in the South American tradition. The traveler always travels clockwise. Below is a diagram I created based on the teachings of Alberto Villoldo, who founded the Four Winds School. A paqo (beginning shaman) begins in the South direction and progresses to the East direction. Each direction has its own unique set of Spirits, lessons, and wisdom. Once the wheel has been traveled once, the paqo can stand in the center and travel back and forth to specific directions as needed. Based on the Teachings of Alberto Villoldo, founder of the Four Winds, in the book The Four Insights. Each direction on the Medicine Wheel can provide wisdom, insights, and practices within it that allow us to experience shifts in perception thus, helping us to transform ourselves and our world. The Illumination Process clears the imprints of karma and disease from the Luminous Energy Field and brings about healing at the blueprint level of your being. 1st Insight: Shed your past the way the serpent sheds her skin, and free yourself from karmic and generational baggage. Transform your wounds into sources of power and compassion. Receive the rites that link you to a lineage of medicine men and women. No Judgment Transcend limited beliefs, including the ones of right and wrong / good and bad, by refusing to go along with others’ opinions thereby acquiring a sense of ethics that transcends the mores of our times. This creates the ability to discern. No Suffering Eliminate suffering that occurs when a story is wrapped around painful experiences. By letting go of our stories we learn our lessons and no longer need to have the same misfortunes occur again and again. No Attachment Become self-referencing by not identifying with any story whatsoever, letting go of the roles we've bought into, and the labels we've stuck to ourselves. Beauty Way When you see beauty all around you, beauty will seek and find you. Perceive loveliness even when there's ugliness and bring gorgeousness to where there is hideousness. How energies such as fear, envy, and anger can penetrate the Luminous Energy Field and how to remove these with the Extraction process. Extract both crystallized energies and intrusive energies and entities, and change your affinities for toxic people and situations. The 2nd Insight: Step beyond fear and violence. Fearlessness Actively practice peace and non-violence even when threatened by not responding from a place of anger or violence. No Doing Immerse ourselves in the flow of the universe, receiving and working with the opportunities it presents to us because we are in the hands of Spirit. Live in the light of love, creativity, and possibility to allow things to unfold as we surrender to the intelligence of the universe, trusting in its benevolence and abundance. Certainty Have an unwavering commitment to the course you've chosen. Choose not to leave any escapes or back doors open that would allow us to keep one foot in the new track while keeping the other foot out the door. This insures that your endeavors will have a positive outcome. Certainty is driven by love and fearlessness, but a back door is driven by fear. Burn your bridges behind you so that you have no option but success. No Engagement Choose not to take part in battles and don’t let your buttons get pushed. Step off the triangle of disempowerment with the three roles of the Bully, the Victim, and the Rescuer. Journeying to discover an original wound that derailed your client’s destiny. Identify and re-write the soul contracts your client made, sometimes even before they were born, that are keeping them from living in grace. The 3rd Insight: Ways of the ancient ones: Invisibility, mastery of time, and learning to step outside of time into infinity where you can influence events that occurred in the past and select your destiny. Beginner's Mind Let go of preconceived notions especially the baggage of stories and expectations. Become childlike using innocence and spontaneity to experience things as if for the first time. Living Consequently Recognize the impact each action and thought has on future generations. Staying in right relationship maintains a perfect harmony with the matrix of creation. Transparency Allow others to see us and have nothing to hide. Let your light shine by not hiding your beauty and power out of fear. Integrity Be true to your word and recognize its power to create reality. What you say is important because it sets a selected destiny into motion giving the universe consistent instructions about the kind of reality you want to create. Maps to the afterlife described by the great spiritual traditions. Assist a loved one on their final journey. The way of the visionary. The 4th Insight: Dream the world into being, energy and intention create reality, and manifest your vision in the world. Mastering Time Step into the stream of timelessness by letting go of the idea that time is linear and based on cause and effect. Time turns like a wheel providing synchronicity, or the serendipitous occurrence of events, and providing the ability to change events that have already occurred. Owning Our Projections Discover and acknowledge the parts of yourself that you've refused to look at. It turns out that everything you believe to be true about the people around you, or the situations you find yourself in, mirrors a story you hold about the way the universe works. No Mind Break free of your thoughts and get in touch with our genuine self by switching off mind chatter. Indigenous Alchemy Follow a 4-step process of perceptions to transcend our roles and our situations: Identification (Serpent), Differentiation (Jaguar), Integration (Hummingbird), and Transcendence (Eagle). I am offering Shamanic Energy Medicine training beginning in February. This training will be a series of classes over the course of a year. The training will be based on a journey around the Medicine Wheel. My curriculum is a combination of principles from core and Peruvian shamanism, energy medicine practices, Reiki, and earth medicine crafts. If you are interested in taking my classes, please email me to request a copy of the detailed curriculum, reading list, list of required tools, and tuition cost. That's scattered old beliefs asunder. And what I will end up to be. And I am losing my grounding. Of liberating my heart to be free. Is a bite that makes my mind wake. Leaves behind the old me forever more. I learned how to shed my skins like a snake and that after each layer is shed, yet another new layer reveals itself to me. I learned a shamanic Skeleton Dance where I completely broke myself down to the smallest pieces possible in order that I be re-built as a being of light and love. I learned that the South gives many sleepless nights, lying in bed while the veil between consciousness and unconsciousness is at its thinnest, that this is a time for reflecting and recording the buried thoughts my unconscious has been holding secret. I learned how to recognize Ego and call him out when he interferes in my thinking and feelings. I learned how to go deeper into my shadow than I have ever traveled before. I learned to go down the rabbit hole to pull out the deepest, darkest, scariest secrets my subconscious has been holding. I learned that I can scare myself silly but that facing my fear is the only way to find out what gifts lie on the other side of it. I learned that building walls around my heart does not serve me any longer and consequently I learned how to re-activate my heart after a long hibernation period. I learned how to give myself to another and then return to myself in order to stay empowered and traveling on my personal path. I learned what it feels like to be completely knocked off my ground so that I can see how important staying grounded is. I learned that I have the power to destroy myself or to manifest my heart's desires. The choice is mine. I learned to replace Either/Or thinking with And/Both thinking. I learned I have 3 separate pasts: memories from my current life, past lives I inherited from my ancestors through DNA, and past lives that my own soul has stored in the Akashic records. I learned how to rebuild bridges to all of these past lives and I crossed some of them to heal. I learned it is never too late to re-establish lost connections whether with incarnated bodies or discarnated spirits. I learned how to forgive others for past hurts because letting go is the only way to prevent the same situation from continuously returning. I learned that no matter how painful a relationship may have been that it happened because of a contract that I had agreed to and that the outcome is a gift of learning given to myself. I learned that Jaguar cannot shed his/her spots however they can change as s/he grows. I learned that we are all connected. Diverse humans are like the spots on Jaguar’s coat; no two are alike. They may lie on the surface but they are all an inseparable part of Jaguar’s body. I learned no matter how hard you work on yourself, there is always more to be done.